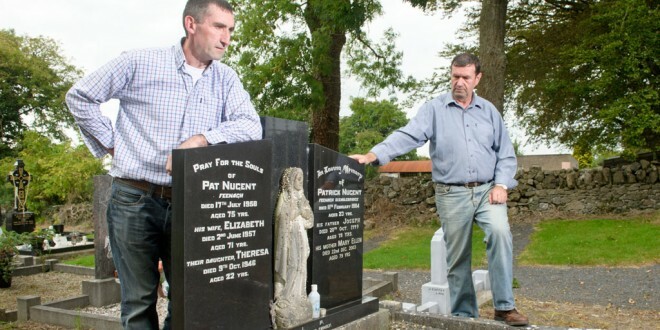 Martin and John Nugent at the grave of their brother, Patrick in Feenagh Cemetery. Photograph by John Kelly. THE family of the late Patrick Nugent from Sixmilebridge has accused the Department of Justice of adding “insult to injury” over its failure to update them on the potential for an independent review into his death. The death of 23-year-old banqueting manager Patrick Nugent, in Bunratty, in the early hours of February 11, 1984 is back in the spotlight this week as members of the Nugent family, from Feenagh, Sixmilebridge, have highlighted their frustration over being left in the dark for the past 13 months on a possible review of file. “The lack of communication is adding insult to injury for the family,” said his brother, John, a view shared by his sibling, Martin. “It is a like a repeat of what happened over 30 years ago when we were coming up against a brick wall. We weren’t getting any proper answers back then and it is the same now. It is hard to believe it. We will not throw in the towel; we never will. You would wonder is it the same old pattern but just different personnel,” he queried. Patrick Nugent, who was overseeing a 40th wedding anniversary party in Bunratty Folk Park on Friday, February 10, 1984 died in the reception area of the barn in the early hours of the following morning. Thirty-one years later, his family are still battling to get answers to several unanswered questions. On June 3, 2014 John Nugent wrote to Justice Minister Frances Fitzgerald seeking justice for his brother. He enclosed a copy of the rider attached by the jury following the inquest into his death in October 1985, which called on the then Minister for Justice to have the matter further investigated as they felt there “had been a suppression of evidence”. In the letter, Mr Nugent stated he did not want a “garda-bashing exercise” but just wants “the truth, so my brother Patrick can rest in peace”. “My parents, Joe and Nellie went to their graves not knowing what really happened and still fighting for justice for their son. Justice is a right, not a privilege, a right I feel was not afforded to my family. Given all the information that has come to light in recent months about the gardaí, I am hoping that you will do everything in your power to see that justice prevails and that my brother’s life is vindicated,” he stated. He outlined several questions the family had raised 31 years ago that still remain unanswered. The late William Ryan was subsequently prosecuted and charged with Mr Nugent’s manslaughter, dangerous driving thereby causing death and failing to keep his vehicle at the scene of an accident. However, he was acquitted on all charges. The Nugent family are not aware of the emergence of any new information about the case over the last 31 years. Justice Minister Frances Fitzgerald has agreed to review the case. However, on August 8, 2014, Minister Fitzgerald’s private secretary confirmed in a letter to John Nugent that his complaint was being included amongst those to be reviewed under a new mechanism to deal with allegations of garda misconduct or inadequacies in the investigation of certain allegations. “This review will commence shortly and I will write to you again once counsel has reviewed your case and the minister has considered counsel’s recommendations. “The review of each case consists of an examination of the papers in the complaint by a counsel from the panel. Counsel will be asked to make a recommendation to the minister on what action, if any, might be appropriate,” he added. The family are calling on Justice Minister Fitzgerald to update the family as quickly as possible on when this review will be complete and whether or not an independent public inquiry will be conducted. They have queried why the Serious Crime Review Team will not investigate allegations of garda misconduct concerning the investigation of Mr Nugent’s death. 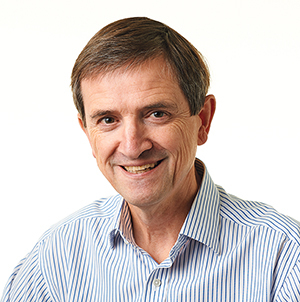 Detective Superintendent Christopher Mangan wrote to the family on May 16, 2014 and informed them he would require sight of the original investigation file that was carried out in 1984 before he could make a decision on requesting the Serious Crime Review Team to conduct a review. In a further letter on October 28 last, Mr Mangan’s successor, Detective Superintendent Walter O’Sullivan, acknowledged the request to have the death of Patrick Nugent reinvestigated and stated that he understood the family wanted to know what happened and all the circumstances surrounding his death. Mr O’Sullivan said he understood Mr Nugent’s death was one of the cases being considered for independent review by a senior and junior counsel established by the government. While Mr O’Sullivan pledged the gardaí would take due congnisance of any commentary arising from any review, he confirmed Mr Nugent’s death was not being reviewed by the Serious Crime Review Team. The Nugent brothers believe there is nothing stopping the Garda Serious Crime Review Team from conducting its own review, as this is separate to the Department of Justice’s independent review. When the family got the letter about the possible inclusion of Patrick’s death in a garda review, they believed there was some light at the end of tunnel. “Without belittling any another case, I thought our case would have been prioritised after 31 years and we would get an update at least. Maybe they are hoping we will get fed up of it and fade away. We want to find out what exactly happened to Patrick. People were there that night and someone knows what happened,” said Martin. John’s wife, Deirdre, said the family had many letters from people saying they would look into this matter and do what they could but, ultimately, nothing has been done. She said they are being realistic and are not expecting people to go to jail but they just want the truth. Under Article 40 of the construction, she claimed Patrick’s right to life was not upheld, which was reflected in the inquest’s rider. She said the former Minister for Justice, Michael Noonan and his successor, Alan Dukes, were asked to investigate this matter further but did not sanction any follow-up investigation. Stressing the family is not anti-gardaí, they still believe an independent sworn inquiry will be the best course of action.